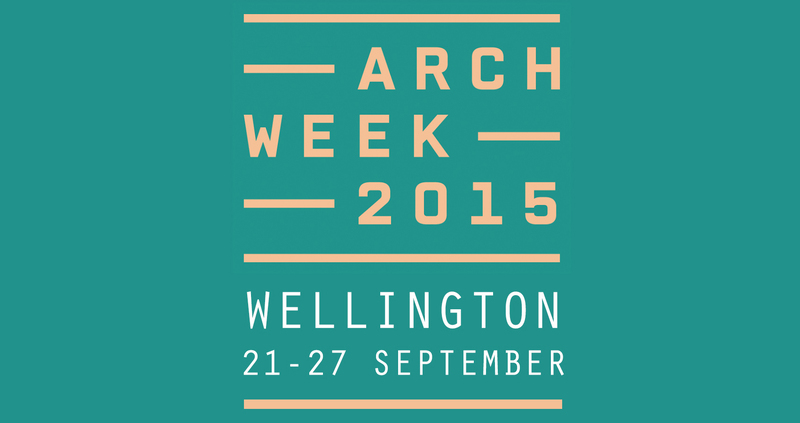 It’s Wellington Architecture Week, apparently, and it has been going on all week long – apparently. Sorry – I’ve nearly missed the whole thing. Been busy. 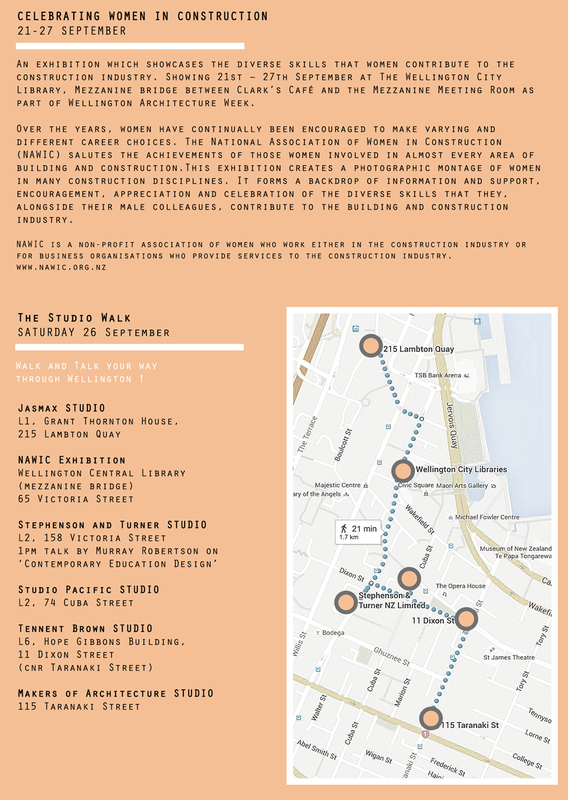 So, without more ado, here is the info on what’s going down. 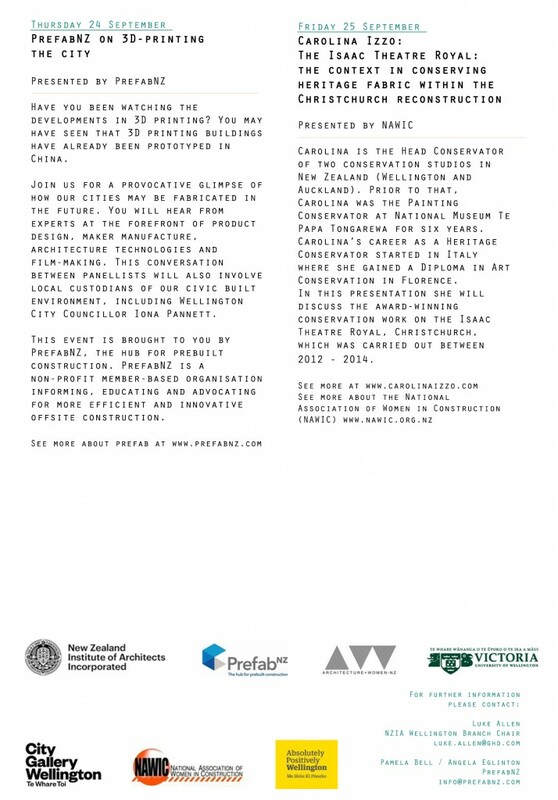 So, today, lunchtime at the City Gallery – Prefab NZ talking about 3D printing the city! 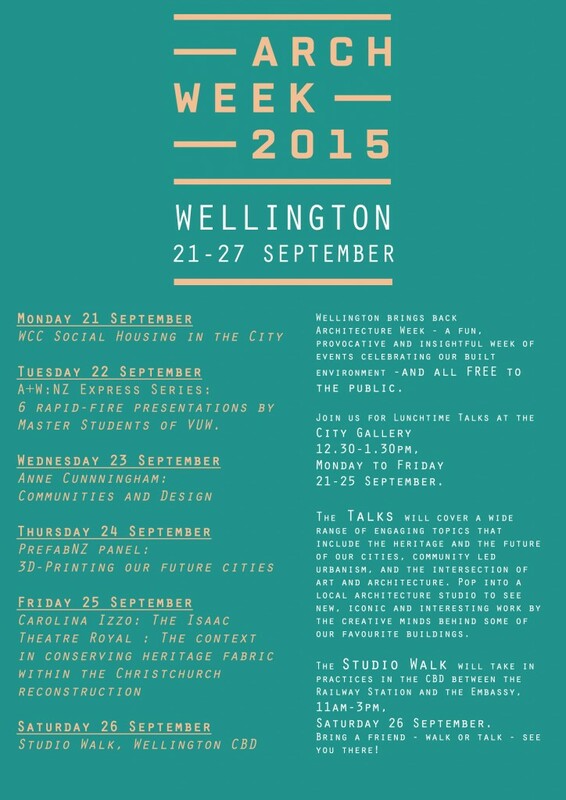 The Prefab talk was great ! Really interesting – a handful of speakers, but some really interesting stuff – glad i went along.